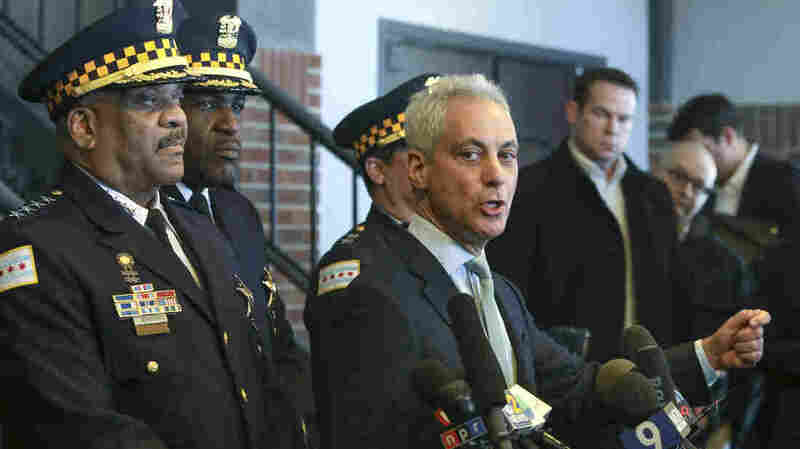 Chicago Sues Jussie Smollett, Seeking Payback For Alleged False Report The city maintains that Smollett filed a false police report and is seeking repayment of the costs incurred in investigating it. 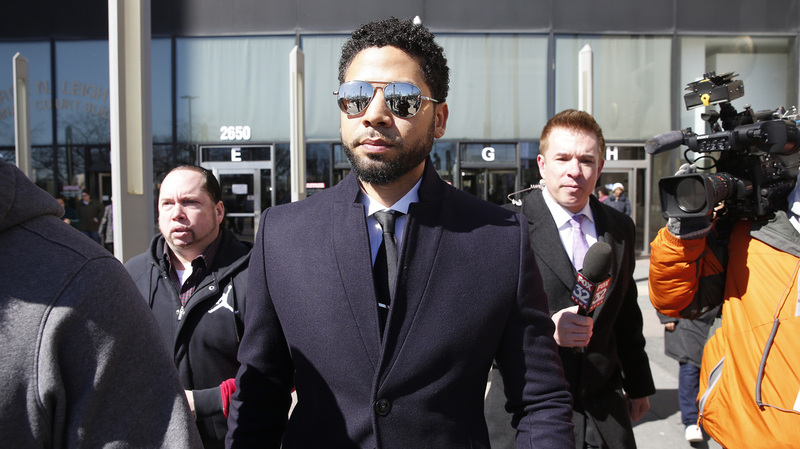 Actor Jussie Smollett leaves a courthouse last month in Chicago. On Thursday, the city sued him to recoup costs of a police investigation that followed what the city says was his false report that he'd been attacked. The City of Chicago on Thursday filed a civil complaint against actor Jussie Smollett trying to recoup the cost of his complaint to police that he'd been the subject of a racist and homophobic attack. Police say he falsely reported that on Jan. 29 he was physically attacked in downtown Chicago by two masked individuals. Investigators later said Smollett staged that attack with the help of two acquaintances. Smollett was arrested on Feb. 21 and a 16-count indictment was returned on March 7. But less than 3 weeks later, prosecutors abruptly dropped the charges after the actor, who starred in the Fox TV series Empire, agreed to forfeit his $10,000 bond and performed community service. Smollett has consistently denied that he faked the attack. But the City of Chicago and its police department maintain that he did and in the complaint, the city is asking for a jury trial "to recover civil penalties, statutory treble damages, and attorney's fees and costs arising from the Defendant's false statements to the City." Chicago Mayor Rahm Emanuel, right, and Chicago Police Superintendent Eddie Johnson held a news conference on March 26 to protest the dropping of charges against Smollett. The complaint outlines the allegations against Smollett in detail, citing text messages, GPS records and statements made to police by his alleged accomplices. The complaint says Smollett "knowingly made numerous false statements of material fact" and is asking for a civil penalty of $1000 for each of those statements. In addition, the complaint states that the Chicago Police Department incurred $130, 106.15 in overtime pay and the complaint is asking for triple that amount in damages plus "litigation and collection costs, and attorneys' fees." A spokesperson for Smollett declined to comment at the time this story was filed. A previous version of this story incorrectly stated that the lawsuit was filed Wednesday. In fact, it was filed Thursday.